Hormonal pimples and acne scars can put a lot of blemishes on your face. But how can you keep your skin flawless? Home remedies and treatments are the best to reduce and remove pimple marks and dark spots due to acne fast. Acne scars usually form as a result of squeezing pimples. The black spots are a result of scarred skin tissue. Trying to pop a pimple will result in a dark spot due to blood that dries under your skin. The best way to prevent pimple marks is to let the pimples heal naturally on their own. But what can you do if you already have the pesky spots that blemish your face? Here’s how to get rid of pimple marks fast using natural solutions. In some instances, you could get results in 1 to 3 days, or within one week. You could also use skin lightening creams to erase dark spots from acne pimples. 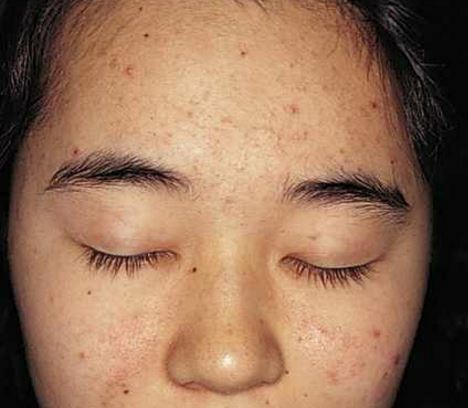 Pimples are mostly a sign of acne. They can also be caused by the accumulation of sebum, sweat and dirt in sweat pores of the skin. As bacteria invade the pores, infections begin to show and pimples form. Pimples can be removed easily, but getting rid of the scars they leave behind is difficult. Commercial creams, home remedies, and natural treatments, clays, herbal cures etc. are popular for getting rid of black spots due to pimples and acne scars. Which of these can work as a permanent way to fade the spots? What can you do to remove pimple spots on face, skin, body, and arms fast or overnight? Some high-quality anti-acne charcoal face masks can be bought and used to reduce the appearance of acne spots, but you can also make a good peel off mask at home. Below are tips, including tips in tips adopted from Kanada, Hindi, Tamil, Hindi and Urdu. Ensure that you moisturize your face generously with a gentle moisturizer. Lemon juice will fade dark spots due to pimples but can really dry the skin. 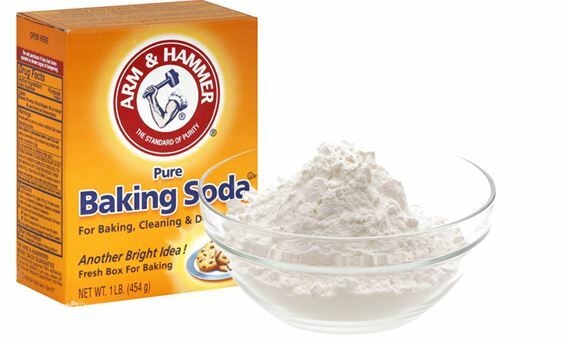 Baking soda is a good home remedy for skin blemishes. [wpsm_box type=”transparent” float=”none” text_align=”left”] Baking soda has exfoliating properties. Due to this, it is used as a scar and dark spots removal home remedy. It works by scraping scar and dark spots tissue slowly to make it fade away. If you use it regularly, you will be able to remove pimple spots and marks fast. Here’s how to heal pimples fast using baking soda. Make a paste of sodium bicarbonate by putting baking soda into a mixing bowl. Add some water and stir to make a consistent paste. Apply the paste onto the acne scars. Leave it overnight and rinse your face in the morning. Baking soda will also make your skin glow. You can make the same recipe using rose water instead of plain water if you want to get a youthful and glowing skin. With constant use, you can get rid of pimple marks in a week or a few days. Honey is a good home remedy for treating acne and red or inflamed pimples. It has antibacterial properties, making it a natural treatment for many skin problems. You can also use honey to bleach, fade and lighten dark spots on the skin. It is recommended that you use raw honey to get rid of acne scars, marks and spots. Here’s how to apply this cure. Repeat this procedure daily to remove pimple marks fast and permanently. Potato juice is one of the best home remedies for black spots and dark patches on face. If acne breakouts left you with blemishes, you can use potato juice to remove dark spots quickly and permanently. Here’s how to use this treatment. Slice up a fresh, succulent potato into thin slices. Place them directly on the areas of your face with dark spots. Leave the potato slices on your skin for a few minutes. You can also make this natural treatment more potent by grating potatoes and using it to make a potato-honey face mask. This will clear dark spots within a few weeks. Potato slices are also used to get rid of dark circles naturally, faster. Cucumber juice is a favorite skin remedy in many cultures. It is rich in vitamin A as well as potassium. Most people apply it directly onto the skin to get rid of acne scars and other types of blemishes. It can also help even out your complexion. Crush cucumbers to get their juice. Apply the juice on your face and leave it overnight. Wash your skin using lukewarm water in the morning. Although this natural treatment for dark spots may not get rid of pimples and pimple marks overnight, it will make your skin clear with continued use. According to the Diamond Beauty Guide, you should apply cucumber juice on your skin daily to remove reduce acne scars and blemishes. According to Beauty Health Tips, an Indian remedies website, aloe vera contains enzymes, nutrients and polysaccharides. It is useful as an anti-fungal and anti-bacterial. As soon as pimples form on your skin, you can prevent pimple marks from forming by treating the zits early. Aloe vera is a natural dark spots corrector. Get a fresh aloe vera leaf. Choose a succulent one. Squeeze to get aloe vera gel out of the leaf. Gently massage the pimple marks and acne spots with this gel using your fingertips. Aloe vera anti-acne face mask can also help give you a clear complexion. If you have age spots, dark spots and blemishes from acne and zits, use this treatment to heal your skin. Turmeric is very effective for lightening dark spots from acne and pimples. You can extend its usage and clear sun spots and even get rid of freckles fast. Here’s how to remove acne marks using aloe turmeric recipe. Mix turmeric powder, milk and lemon juice to make a thick paste. Apply it on your skin where there are dark spots due to pimples. Wash your skin with lukewarm water. Repeat this home remedy for black spots due to acne every day for faster results. You can also mix olive oil, turmeric powder and olive oil instead of the above ingredients. It will also work effectively in getting rid of black marks left by pimples. One of the best ways to get a clear skin is using ingredients that help your skin to generate new cells. As the old cells are phased out, new, clear cells grow. This can give you a clear skin on the face. Rose hip oil is one of the best ingredients you can use to treat dark spots and promote skin rejuvenation. Obtain organic cold pressed rose hip oil. Apply it twice everyday on your face to enjoy the benefits on your skin. Some people recommend using this oil with a derma-roller to fade blemishes within weeks. Egg white is great for getting rid of oily skin. Most people with oily skin are prone to acne and the scars it leaves behind. Other than that, egg whites can really help nourish your skin, leaving it clear and healthy. Apply egg whites on your skin using a clean finger twice a week. Leave the mask on for 30 minutes and then wash off with clean lukewarm water. Face packs can combine a few of the most potent ingredients to achieve faster results. One of the best packs is a honey + baking soda face pack for a clear skin. Another good face pack is a sandalwood + oatmeal homemade pack for getting rid of acne scars fast. It is almost impossible to get rid of acne marks overnight using natural ingredients. However, there are some treatments that can get rid of pimple spots overnight and permanently. These procedures can be done by a professional dermatologist and not at home by yourself. Concentrated beams of laser light are used to eliminate dark spots that are caused by acne and pimples. The procedure is done at the clinic and is able to get rid of dark spots instantly. According to KP Cosmetic Services Clinic, laser removal of black pimple marks takes between 15 minutes and an hour. Depending on how deep the black or brown marks lie, you might get one to three treatments to clear the blemishes permanently. Otherwise, you should see the results almost instantly, which can be done by comparing before and after photos of yourself. If the pimple marks are shallow, microdermabrasion can get rid of them fast – almost instantly or overnight if you like. This procedure works by exfoliating the skin, removing the skin layer that contains the black spots that come from blood clots when you pop pimples. This non-invasive treatment for a pimple and acne blemishes is less costly compared to procedures such as laser removal of black marks. Chemical peels can give you faster results if you use them consitently. 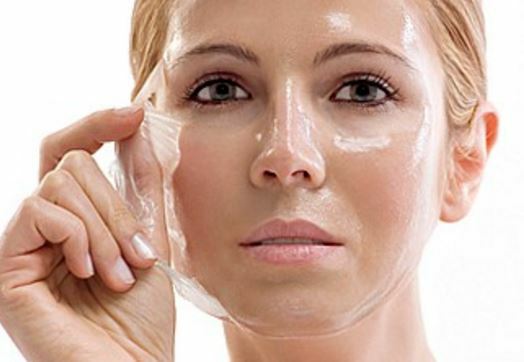 Chemical peels are widely used to improve the appearance of the skin. If your skin is laden with blemishes and wrinkles, they can help you remove these signs of aging. Your dermatologist will use chemical preparations that will pull away layers of your skin. With it, dark pimple marks will be removed to give you instant results of a clearer and glowing skin. Chemical peels are treatments that are listed as the fastest ways to remove acne marks and spots. At home, you can apply creams, treatments and other remedies that you can prepare in your kitchen. To remove pimple marks naturally, calamansi fruit, garlic, toothpaste, vitamin E, C and even oils such as coconut oil and olive oil can be used. Let’s see how to remove black marks naturally using these home remedies. If you are looking for a natural moisturizer that doubles up as a moisturizer, coconut oil will do. It can also be used to reduce the appearance of black marks on your face, hands, body and skin generally. It is recommended that you use extra virgin coconut oil. Here’s what to do to reduce pimple spots quickly. Scoop a generous amount of coconut oil on your palms. Massage it onto your face as it melts. Pay extra attention to acne scars because those are the areas you want to lighten. Leave the coconut oil on your face for one night. Repeat this treatment to fade black patches caused by acne scarring. Garlic works as an antifungal and antiviral treatment. Your skin will benefits from its properties to prevent pimple scars. Here’s how to use garlic treatment for black and brown spots from acne and zits. Extract garlic juice by crushing about 5 cloves. Apply the juice on the pimple dots using a dabbing cotton ball. Garlic can burn the skin if left to stay for long. Your skin might feel itchy and uncomfortable. Do not use on sensitive skin that is acne prone. Toothpaste that contains mint can irritate your skin. However, it has been touted to not only lighten dark spots due to pimples but also shrink pimples and get rid of them fast. We do not recommend that you use toothpaste as a home remedy for pimple marks since it can easily burn your skin and cause more damage than good. Olive oil is rich in minerals, vitamins and fatty acids that keep your skin healthy and soft. Most uses for this oil originate from its power as an exfoliant. Here’s how to fade pimple marks using olive oil. You will need extra virgin olive oil, warm water, lime, honey and fine sugar granules. Cleanse your face with a gentle cleanser. Dampen it using warm water. Mix all the above ingredients in order to get a fine paste. Massage your face with this paste. Do this gently. Repeat this procedure once every week to remove pimple scars fast. This treatment is safe and can be used during pregnancy. Most people get pimple spots during pregnancy due to the surge in hormones. Pimples and dark spots are common on the face, forehead, hands, buttocks and even on chin. If you do not treat them, they will leave black spots. The back and chest is also commonly affected. Some soaps are known to lighten dark skin and can help fade away black marks. Try the following bleaching soaps for pimple marks removal. Mix 3 tablespoons of brown sugar with 1 tablespoon of milk powder. Add 1 tablespoon of organic honey. Mix well to get a consistent paste. Repeat this procedure once every week to remove pimple marks from face in a few weeks. Topical creams are also available over the counter and can help fade dark spots on face due to acne and pimples. These ingredients are potent and can lighten the scars faster and more effectively. Other home remedies include belo creams, yogurt, vitamin E and sugar scrubs. If you are prone to pimples and acne scars, it is best if you avoid, popping, touching and squeezing the itchy pimples. Avoid picking pimples as they will scab and form dark scars on your face. Do not squeeze pimples. This will not get rid of the zits. Instead, it will cause bleeding in the pore and leave you with a black blemish spot. Your skin is elastic. Acne inflammation only leads to a weakened collagen. Picking and squeezing the zits worsens this situation. Squeezing acne bumps makes the infection in the pore to travel further deep. This is why you get those deep pimple marks on your face that are hard to get rid of. Do pimple marks ever go away on their own? It takes a long time and you won’t remember it. Your best effort is to prevent the scars. These tips will help you prevent acne scars from forming on your face or skin. Do not pick the pimples and acne zits. This will make them bleed and form scars on healing. Avoid popping the pimples even if they itch. This will damage the skin and cause scarring. Drink a lot of water and fluids. Eat a lot of fruits to help the skin heal faster. Avoid facial scrubs especially when you have small pimples on your face. This can cause severe dark spots on your face.